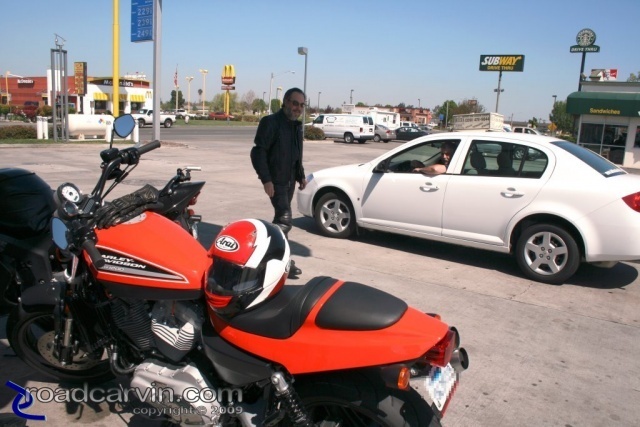 Dwight discusses the 2009 Harley-Davidson XR1200 Sportster at a gas station in Stockton, California. The bike attracted attention wherever we stopped. Submitted by Michael Curry on March 30, 2009 - 12:50pm.